Ok, so we've covered why we should be investing in dividend stocks and how to get started. so now its time to have some (nerdy) fun and analyze a specific dividend stock. Intel (INTC) represents the largest holding in my portfolio. I have been allocating it for several years now and will continue to do so while the price, in my opinion, is undervalued. What I really love about Intel is that it is paying around a 4% dividend yield, which is unheard of for a technology company. I plan to analyze the Technology sector and their growing popularity as viable dividend stocks in later posts, but lets focus just on Intel for now. 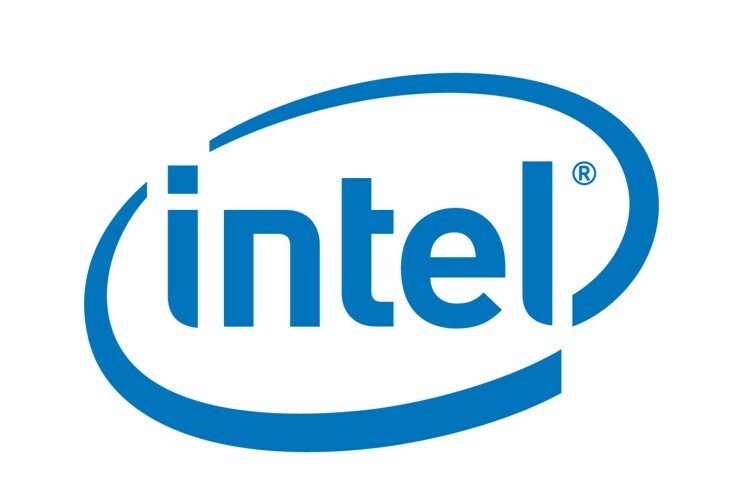 Company Description: Intel Corporation engages in the design, manufacture, and sale of integrated circuits for computing and communications industries worldwide. It offers microprocessor products used in notebooks, netbooks, desktops, servers, workstations, storage products, embedded applications, communications products, consumer electronics devices, and handhelds. 1. Dividend Reliability A stock's dividend reliability is determined by the number of years the company has been paying dividends. The longer the better. Its payout ratio (% of income that is paid out as dividends) should be low so we know the dividend has room to grow. INTC has paid a dividend for over 18 consecutive years now. The current payout ratio is 31%, allowing room for continued dividend increases. INTC has $2.35 billion in debt and $11.55 billion in cash, so debt is not a concern due to the large amount of cash on hand. 2. Dividend Growth A stock needs to be growing its dividend on an annual basis. The growth of its dividend should be at a respectable rate, especially if the current yield is low. INTC has raised its dividend for 8 straight years and has an average annual increase of 25.8%. A 25.8% average annual growth rate in your dividend is quite large, so we would expect that to come down over time. 3 Earnings Growth Future earnings need to show growth to ensure the dividend payout can continue to be raised in the future. INTC's earnings per share (EPS) for the next 5 years is expected to grow at an average of 11% per year. The lower growth rate in EPS will affect the dividend growth rate going forward, so we will likely not enjoy such large increases in the dividend as we have seen in the past. 4. Current Price / Yield A stock needs to be attractive in price and yield. Ideally we'd like to buy stocks that are undervalued (low P/E) and is paying a respectable dividend yield (> 2%). INTC is currently paying a quarterly dividend of $0.21 / share. That equates to $0.84 per year. At the current price of $21.75, INTC is paying a dividend yield of (0.84 / 21.75 = 3.9%). INTC earned $2.18 per share. At the current price of $21.75, INTC's P/E ratio is (21.75 / 2.18 = 9.9) and its forward P/E is a mere 8.8. Before considering buying a stock, we need to determine what that company is good at and what it has not done well. What it can do in the future to improve its financial strength, and what it should worry about. The simplest way to do this is a good old-fashioned SWOT analysis (my college professor would be proud). INTC has a near monopoly in the computer semiconductor industry. No other company in the industry has the research and development resources that a company of INTC's scale does. The complexity and research costs to enter this industry prevent other companies from challenging INTC's dominant position. INTC is late to the game in low-power CPUs and is playing catch-up with ARM Holdings (ARMH). ARMH is the primary CPU provider for the popular Apple IPADs and IPODs. Although INTC recently unveiled a new low-power CPU technology, it still remains to be seen if it can take away some of ARMH's business. INTC's growth is currently being driven by the "cloud". Many of you I'm sure have heard about "cloud computing". If you have ever used Google Documents, this is a good example of a Cloud service. Data centers are in demand to support cloud services and INTC's CPUs are powering them. Also, if INTC is successful in taking business from ARMH with its latest low-powered CPU technology, this would be a great boon for the company's bottom line. Just as INTC is trying to enter the low-power CPU business, ARMH is attempting to enter the high-powered CPU business that is dominated by INTC. Windows recently announced that its next OS release, Windows 8, will be able to use ARMH CPUs. If ARMH is successful, they will likely take some market share from INTC. Of course INTC needs to continue to innovate and stay ahead of its main CPU competitor AMD as well. INTC has a strong balance sheet, low debt, and continues to grow its earnings and dividend at double digit rates. INTC's dedication to raising its dividend the past 8 years leads me to believe that management will continue to reward investors in this fashion. The 31% payout ratio allows for plenty of room for continued dividend growth as well as the expected 11% annual growth in EPS. INTC's current and forward P/E ratio shows the stock is undervalued at current prices. Although I don't expect future dividend increases to be as large as the past due to dividend growth exceeding EPS growth, I believe we can still expect high single digit & low double digit increases in the years to come. Disclosure I own, am currently allocating, and am long INTC. * I plan to tweak how I analyze and present stocks in the future as well as come up with a rating system to quantify how good of a buy the stock is at the time of the writing. This will be something that evolves over time. If you have any feedback, please feel free to contact me or leave a comment.